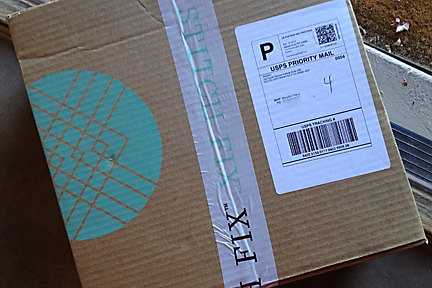 This past week I received my first package from STITCH FIX. For those of you who aren’t familiar with the company, it is a service where they send you 5 items(clothing and accessories) and you can try-on everything at home for a $20 Styling Fee. They give you a big USPS bag so you keep what you like and you send the rest back. If you decide to keep something, then your $20 styling fee goes towards your purchase. And wah la, it’s as simple as that. 1) You sign up and fill out an extensive 80 question survey about your style, preferences, and pricing. For some people this is too much. 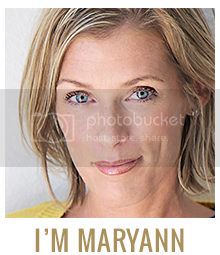 For me it just means that the stylist can know more about me and send me items that I’m more likely to keep. I see it as a benefit. I want the stylist to get to know me and send me things they think I will like or look cute in! 2) Schedule a fix. You can set your fixes to auto ship monthly or you can pick the date yourself. I like to pick the date myself. 3) Get your fix. Try on your clothes. 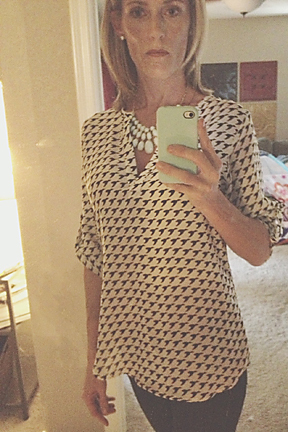 The Bird Top and Bubble necklace - These are my favorite two pieces of my fix. I've wanted something like this shirt forever.... the only thing it is a little big.... and it is getting a little warm in Phoenix for the shirt.... but oh well I'm keeping it. I love it! 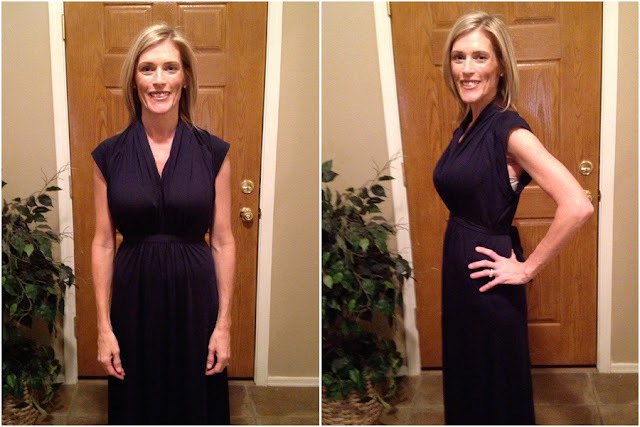 Maxi Dress - I love a maxi dress, but this one just doesn't work... The neck is high in the back with lots of material and the sleaves are short almost cap sleaves. The arm holes are far to large. Top half of dress just doesn't work. This one is going back. The dot dress - the fit of this dress worked in some places but I felt as if the "girls" were unprotected and everything was just a little to snug..... so not comfortable. 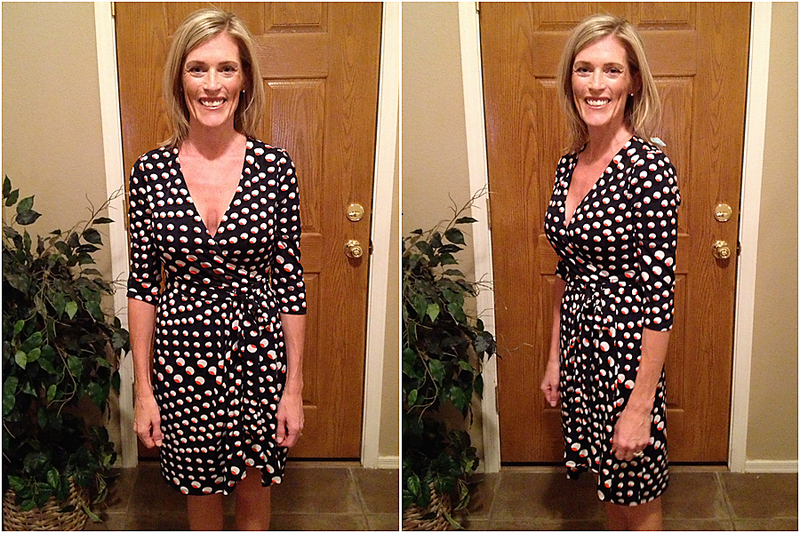 Plus the dress was hot.... and with the temperatures in Arizona climbing this dress is an unrealistic purchase. This is going back. 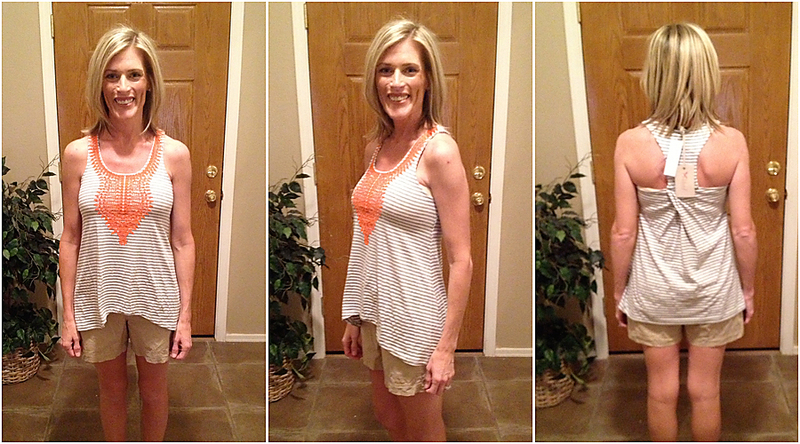 Tank - the last piece in my fix was this tank top with embellishment on the front. I would have never tried it on, but I wanted to give it a try. The fit is all wrong. The chest was tight, but the armholes were too large. The bottom of the tank was too big and wide. After seeing the photos... I disliked the front even more... I thought the "girls" looked droopy and sad, but I thought the back of the tank was cute. This shirt is going back. So that's it.... Fix #1... I kept 2 items..... and I can't wait for my next fix! I scheduled my next fix to come next month. I am in desperate need of new summer clothes and this is a fun way for me to try on new clothes and have the convenience of doing it at home instead of driving to the mall in my limited free time. Some people like the mall. In my younger days it was awesome...now it’s a chore. P.S. I am not getting endorsed by Stitch Fix in any way for this post. 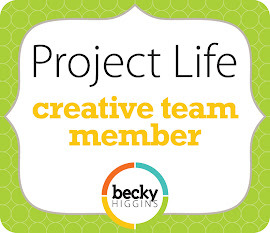 If you do decide to sign up, I will receive a referral credit when you receive your first fix. 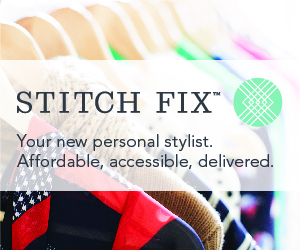 Wish we had stitch fix here in Australia! LOVE the top and necklace that you kept! They look amazing on you! 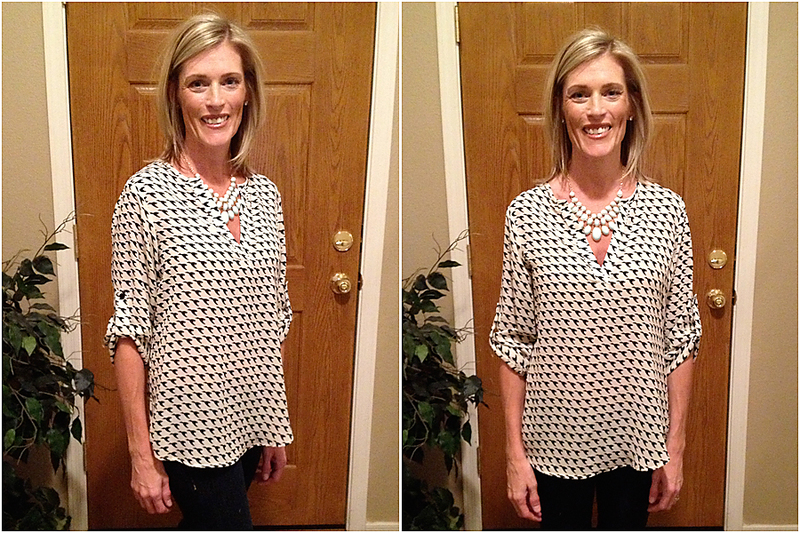 The top and necklace are great they suit you perfectly. 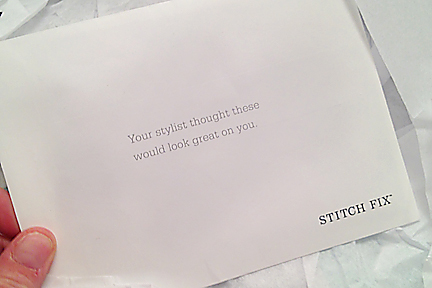 I wish we had Stitch Fix in the UK. I received the same blouse, necklace and tank! Ended up keeping only the bird blouse, but I *love* it! It looks fantastic on you. They did a great job! I tried Tog & Porter recently and it was just a mess! But I want to give Stitch Fix a try!